A Bic will get the job done, but this “nearly matchless piece of machinery” could be the ultimate tool for lighting a cigar. Made by the Paris-based luxury brand S.T. 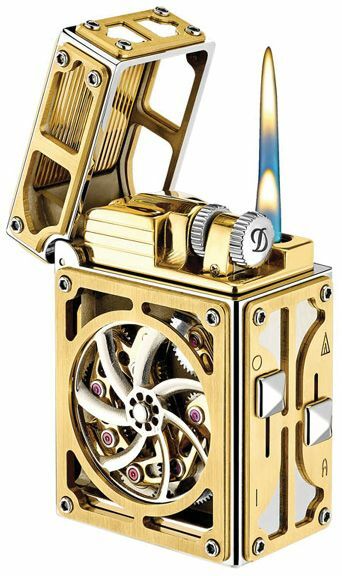 Dupont, the Complication Lighter consists of 200 interlinking parts, “most of which are visible through its skeletonized body.” The case and working parts are finished in palladium or yellow gold and adorned with a diamond and nine rubies. A two-digit combination code unlocks the lid, and wheels spin as the cap opens and closes. Sliding knobs adjust the flame from a soft plume to an intense jet.